Denny Jump (Bellevue, WA, United States) on 5 February 2016 in Plant & Nature. Like Diamonds in the Dust. A lovely poem Denny! This is beautiful. 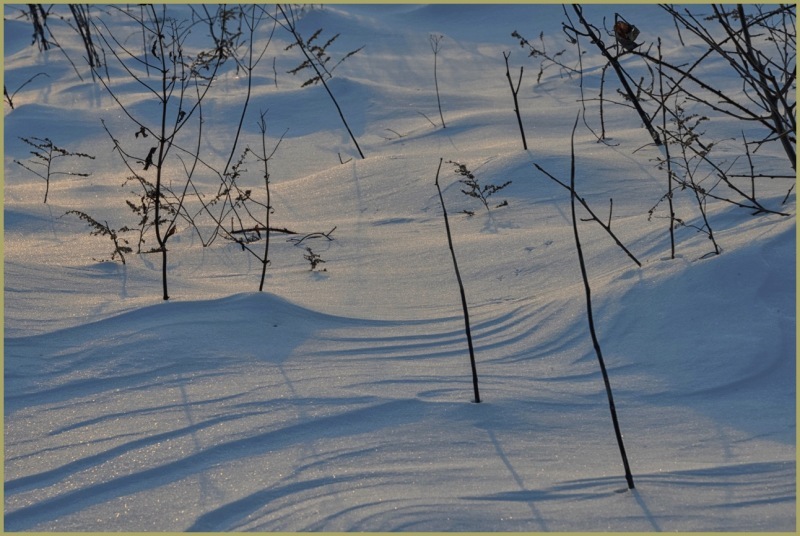 I love the undulating snow and the shadows. Such a fascinating transformation . .
Lovely light on this cold, wind blown snow. wonderful winter image ... the blue hues and the 'tangle' of dead vegetation work together so well!